The Oconto Falls FFA Chapter was chartered October 7, 1929, one of the original 18 chapters chartered in Wisconsin.We will be celebrating our 90th birthday as an FFA chapter. Through the decades as agricultural education has transformed to meet the needs of students, so has the FFA. Prior to 1988, the organization was known as the Future Farmers of America and was renamed that year to The National FFA Organization. Agriculture is more than just raising livestock and growing crops, thus why the name changed to become more inclusive to all students representing the organization. The Oconto Falls area and Oconto County are a melting pot of every sector in the agriculture industry. Our students come from every walk of life and continue their growth in this vibrant industry. We hold an inborn fondness for the leaders of tomorrow that are molded and influenced within this part of our agricultural education department. Our program of activities features many aspects of our industry that you can become involved in. You will gain leadership experience, learn about agriculture trades, funding for future education, degrees of membership, work-based learning opportunities, and much more. 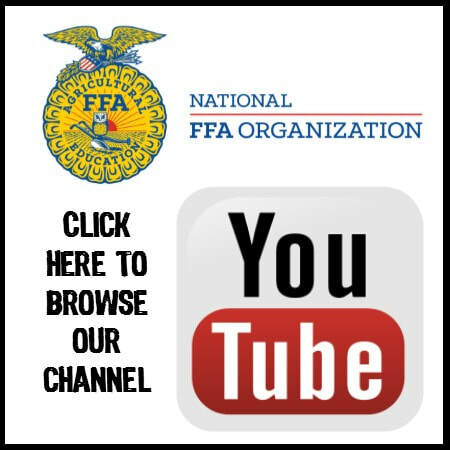 Get started today and explore your future in the FFA and the agriculture industry.